TRIPLE LOT IS CLOSE TO SCHOOLS, PARKS, AND SHOPS AND DINING! 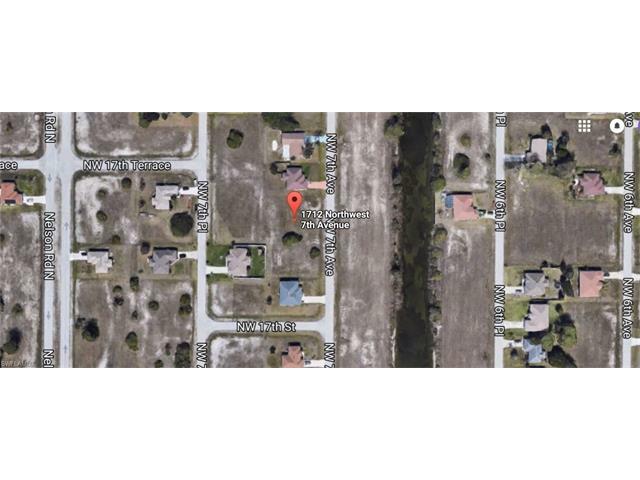 LOT IS APPROXIMATELY 120FT FRONTAGE BY 125FT! PLENTY OF ROOM FOR A POOL HOME AND STILL ENOUGH SPACE TO HAVE A HUGE BACKYARD FOR YOUR KIDS AND PETS! CALL TODAY TO FIND OUT THE INSIDE SCOOP ON THIS ONCE IN A LIFETIME DEAL!! THIS LOT WON’T LAST LONG ON THE MARKET, PRICED TO SELL, OWNER SAYS BRING ALL OFFERS. Buyer to assume any assessments and Capital Expansion Fees. Confirm with city of Cape Coral for payoff.